As an employer, manager, or human resources staffer, you’ve probably already heard the news that there’s a new Federal Department of Labor salary rule taking effect on December 1. The minimum salary to qualify for exemption will increase from $455 a week or $23,660 annually, to $913 a week, which will put the overtime threshold at $47,476 annually. How will this affect your employees? 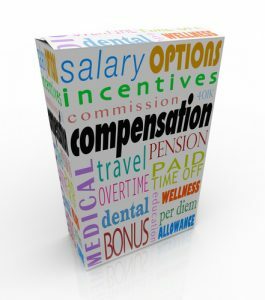 Well, it means that if your employees are exempt from overtime and receives less than $47,476 per year right now; their compensation will change once the new rule takes effect. They will be eligible for overtime pay, but instead of being paid a straight salary, they will be paid by the hour. How will this affect you as the employer? You will have to break the news to them. And the bad news is that some employees won’t take the news well. First of all, tell your employees one on one. Don’t hold a group meeting to announce the news, especially if not everyone is affected. People can take it personally, and some people might be angry, emotional, or upset. People may take it badly or have questions that they don’t want to ask in front of their colleagues. Your best bet is to sit down with the affected people and take your time in explaining what these new rules will mean to them, and answer as many questions as you can on the spot. Realize that if your employees work more, you’ll have to pay more. The new law means that compensation will now be based on how many hours your employees work every week. That means that if they stick close to the 40 hours, their paycheck will be almost the same as when they earned a salary. But if they work more, you’ll have to pay them overtime. This is something that many employers took for granted before. On the flip side, employees that regularly clock out early and duck out for personal appointments will be taking home less money overall. This also means that you will have to approve overtime work. You’ll have to monitor their time. Change is hard, and you may have to introduce a work monitor or a punch clock, since under new regulations, time worked needs to be officially recorded. Federal law prevents allowing employees to have unbilled or unreported hours. All work must be reported on a time card. Failure to record employee time accurately will result in steep fines for the company if discovered. When employees work remote hours, they’re required to closely track their hours like they would if working at the office. Remember, any change is difficult at first, but with proper explanation, it will make the process easier for employees and employers alike.